Soon after Apple released iOS 9.1 beta 4, less than a week after doing so, Apple released a brand new, fifth beta of what should become iOS 9’s first software update of major importance that will produce an entire wave of brand new apps. iOS 9.1 beta 5 (build 13B137) for the iPhone, iPod touch and iPad is available to both members of the Apple Developer Program and public beta testers. The build itself is has garnered good grades from majority of reviewers. To top it all, the software can be obtained as a standalone download through Apple’s portal for developers as well. It is all around easily accessible, with the clear intention of making the new OS as user friendly as possible. In order to apply the update on your device running an iOS beta, you need to do as follows: go to Settings → General → Software Update. Public beta testers that have signed up for the Apple Beta Software Program can also install this update as well. Release notes that came together with the download have no mention of the brand new features, with an over-the-air update prompt announcing that this specific beta version of iOS 9.1 contains additional bug fixes and unspecified improvements. If we were to trust the release notes, developers should take care when it comes to a few remaining issues related to such development apps like iCloud Keychain, PhotoKit, Restore and UIKit. This is indicative that a public launch is just around the corner. Of course, we can’t wait, and Apple’s been keeping us on our toes for quite some time. To name just a few new updates that the update brought, iOS 9.1 will bring support for completely new emojis, including taco, burrito, cheese wedge, popcorn, middle finger and many more. It seems that the new emojis are mostly food based; it seems that the current social trends are influencing the ways we see, use and develop the new emojis. But that’s not all. Expect to see some fresh new backgrounds as well. But, much more important than the pretty backdrops serving only to please the eye, iOS 9.1 comes with compatibility support for the upcoming iPad Pro and Apple Pencil and developer support for the Live Photos feature on the iPhone 6s and iPhone 6s Plus. 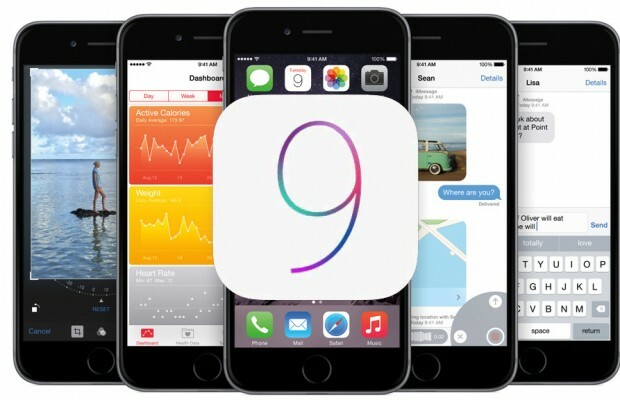 The first beta of iOS 9.1 was seeded to developers soon after Apple’s iPhone 6s event held in September 2015 at the Bill Graham Civic Auditorium in San Francisco. Apple has since started releasing the subsequent updates that were aimed at improving the OS and making its use easier for the developers. There will be more coming. We’ll update the article with other changes in iOS 9.1 beta 5 as we are informed of them. Please, feel free to help us out by posting your own findings down in the comments. Your opinions matter to us, and it will ultimately help improve the user experience.